With technology moving so fast it’s quite difficult to keep up with everything that is going on these days. With the help of other tech sites and our members, we have put together a couple of important news items for your viewing pleasure today. First up is an article regarding next generation AMD GPU’s from VR-Zone. It seems as though, like Nvidia and CUDA, that AMD is finally buying in to the idea of software support for GPU computing. 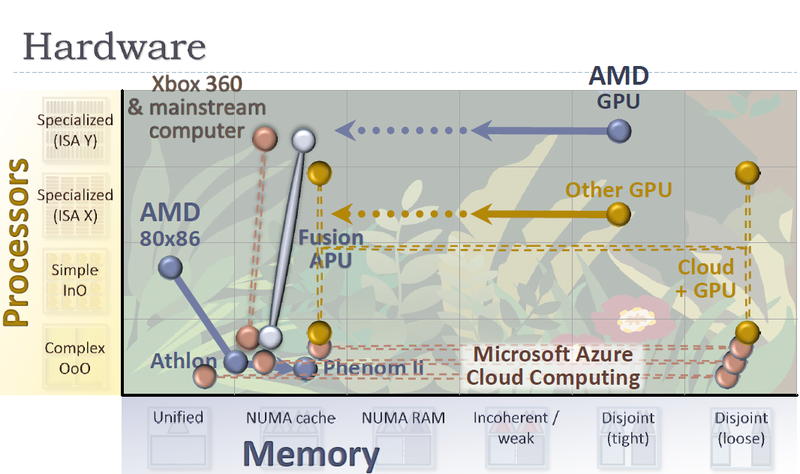 With this endeavor, the “Next-gen AMD GPU is even more of a ‘graphics enabled vector processor’ than NVIDIA Fermi…”. What does this mean for gamers? Only time will tell but if its anything like Fermi, we know it will still perform quite well. You can continue reading all the details on AMD’s new architecture from vr-zone.com. 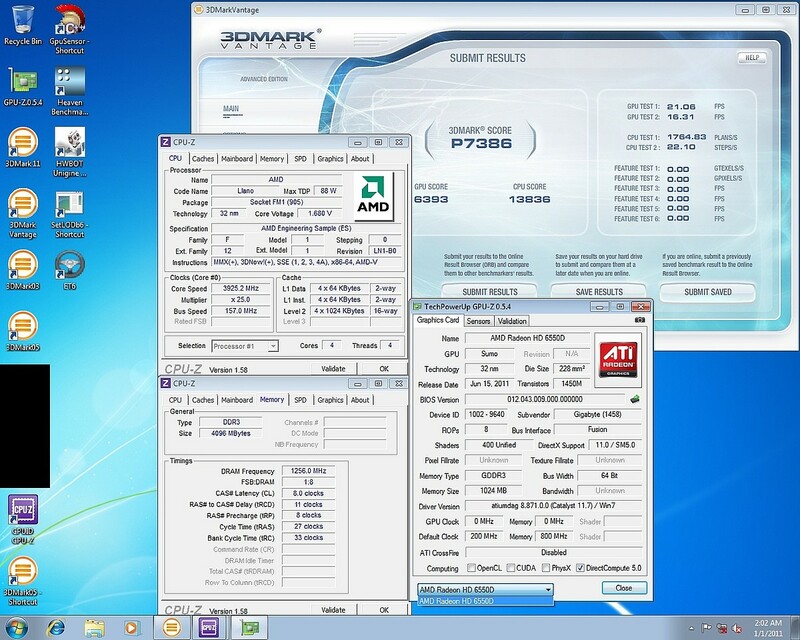 That article states the CPU was overclocked from 3.6-4.2Ghz at 1.6-1.728v max using phase change cooling. Not to be forgotten, Intel has been making waves with rumors claiming that Sandy Bridge-E is will be available in November. While this certainly sounds like some good news for those waiting for the next Intel CPU, there does appear to be some bad news with it. Well, sort of. As for the November launch, the key thing here for Intel is not to hit the Christmas holiday season, but instead it’s to get in with the big system integrators before they decide on next year’s system spec. The big boys tend to only change their platforms once or twice a year and Intel has to be in on time when these companies are evaluating what they’re going to be selling in 2012, miss this deadline and you have a lot less sales. Makes sense considering that us enthusiasts barely make a dent in Intel’s total revenue. You can read more about the eventual SB-E release at VR-Zone.com. Last and certainly not least, wccftech.com has shown AMD’s new Quad/Dual core APU lineup due out in Q4 2011. They report, the “current lineup will get two more accelerated processing units (A8-3800 and A6-3600)”. Both quad-core APUs will feature 4Mb L2 cache and a 65w TDP. Where they differ is the stock and turbo clock speeds as well as the IGP. 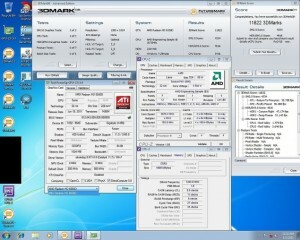 “The A8-3800 is clocked 2.4 Ghz with a 2.7 Ghz turbo speed and contains a 600 MHz HD6550D IGP (400 Stream Processors). The A6-3600 has a lower clock speed of 2.1 GHz (2.4 GHz tubo) with a 433 MHz HD6530 IGP (which has 320 Stream Processors. If there is any news you would like to see on the front page, please let us know! We are always looking for great content to feature. Previous Article Bobnova and TsunamiJuan Benching Live Today! Article link has been fixed.